This Spring, we’re turning the clock back to 1963 and heading across the pond to East London for the seventh season of Call the Midwife! With new characters, new challenges and continued romance, Call The Midwife is a love letter to the community about the strength of women and, from what we’ve seen of the new season, it’s better than ever. Season 7 opens as the “Big Freeze” of 1963 continues and the midwives persevere through the intense winter. The nuns and nurses of Nonnatus House are being professionally tested as they have never been before. All around them they see the old East End vanishing, as slum clearances make way for bold new tower blocks to accommodate expanding communities. Beyond that, Nurse Trixie and Nurse Barbara are thrown challenges with their love lives – Nurse Trixie continues to pursue her relationship with Christopher and Nurse Barbara is starting her new journey as a married woman. This season also introduces the newest midwife, Lucille Anderson, played by Leonie Elliott. Nurse Lucille is the first West Indian midwife to be a regular character on the series. This new character is elegant, compassionate, clever, settles in quickly and starts bringing a new energy to the Nonnatus House. Lucille represents the experiences of Caribbean nurses who traveled to England to support the expanding National Health Service. 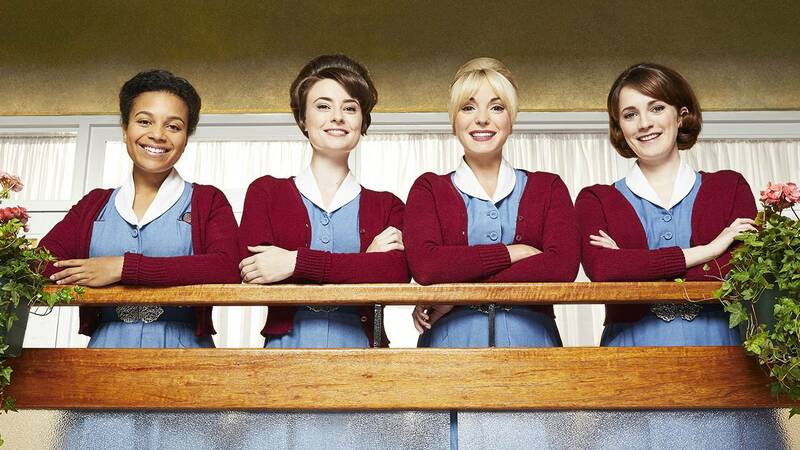 Call The Midwife season 7 premieres Sunday, March 25, at 8pm on ThinkTV16 and CET with two back-to-back episodes.